A new recording, and the last from Crooked Necks, this being their death release. The duo, consisting of Andy Krupinski and Shane Church, play a sound that is hard to categorize but loaded with adjectives. Influences would range from Black Metal to Post Punk and Shoegaze, and a split album with Circle Of Ouroborus should also give away much of what their sound is about. Here the vocal approach is more a a gloomy post-punk vibe, that occasionally shrieks. Guitars are layered, distorted, melodic, and fuzzy. Five tracks in all. J-cards are silver offset on green metallic paper, with a four panel professional printed full color insert. 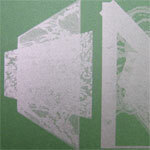 A split release with Cloister Recordings. 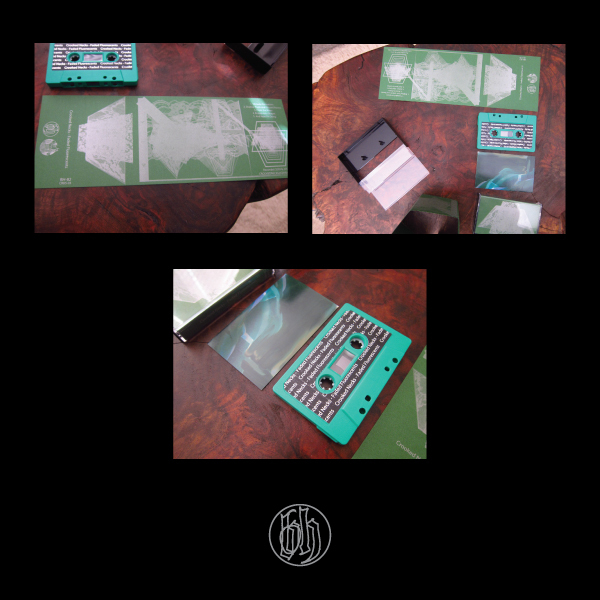 Edition of 200 copies on green tapes with silver labels.